Trading away the EU principles in the name of national export interests? MEPs need to follow the lead of the European Ombudsman and force the European Commission to shine the light on the opaque role of national Export Credit Agencies, writes Antonio Tricarico. Perhaps there is still hope that democratic control can, sometimes, triumph over the EU institutions’ abuses. Maybe, even at a troubled time for the EU project, the mechanisms created to hold the institutions to account can send a positive signal to the EU citizen: challenging the EU institutions is possible, if not crucial, for their correct functioning. 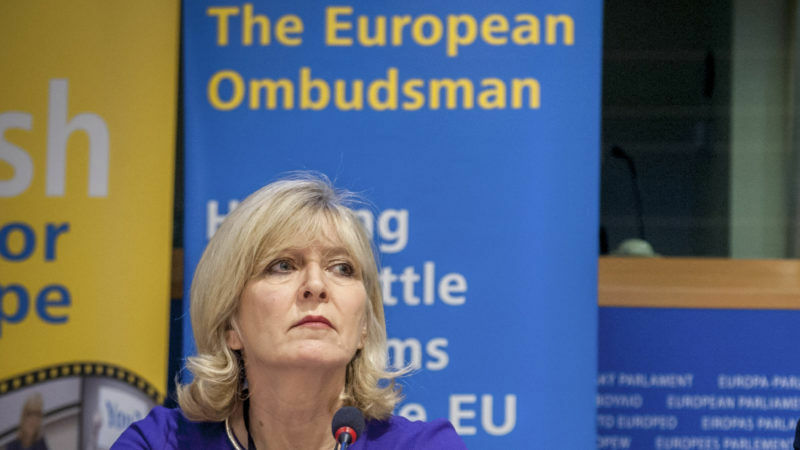 The role of the EU Ombudsman is proving more and more precious in drawing the line of the EU institutions’ own responsibilities when it comes to playing by the very rules of European law. While it may seem quite abstract, its monitoring spans from issues such as international trade and transparency, to environmental and human rights standards, and can have a concrete impact on the lives of EU citizens. In the context of international trade, an important milestone in this direction was set by two recent decisions by the Ombudsman Emily O’Reilly, about which she spoke today, in a public hearing of the International Trade Committee of the European Parliament. Following an appeal filed by the ECA-watch network – the Ombudsman detected severe shortcomings in the European Commission’s monitoring of national Export Credit Agencies (ECAs). ECAs are powerful public or public-backed agencies which finance and insure European exports against commercial and political risks. Since the financial and economic crises, ECAs have returned to playing a key role in the European economy – for example, Germany’s Hermes insures each year tens of billions of euros of German exports. Nevertheless, in most cases they still operate in great secrecy. In an attempt to push for increased transparency, in 2011 the European Parliament pushed the Commission to commit to regularly monitoring the activities of national ECAs, and in particular checking their compliance with the objectives and obligations of the EU’s External Actions on development, environment, climate, human rights and democracy promotion. But if that looked like a shiny example of EU policy coherence back then, so far the implementation of this measure has been disappointing, with hardly any information publicized on the matter. To the European Parliament and civil society’s dismay, the Commission tried to justify its deficiency by hiding behind the member states’ unwillingness to disclose the information. And that’s where the EU Ombudsman found “maladministration”. According to her recommendation, regardless of the will by Member States to cooperate, the European Commission should acquire adequate information to formulate its judgement through all possible channels, and if national ECAs do not cooperate, it should state this clearly in its findings to the European Parliament. It is a matter of abiding to the law and not to the vagaries of national ECAs. Such a statement has a particular political weight, considering that the ECA’s activities have so far been exempt from human rights-related considerations to the point that arms export for cross-border conflicts could have well fit among their activities. But the Ombudsman’s position also connects to the broader reflection about the climate schizophrenia of European business and investors, who, in direct contradiction with EU climate goals, are reducing support of polluting coal projects within the EU while still promoting coal elsewhere. There is a long way to go to ensure that European Export Credit Agencies respond to the much needed demand for accountability and transparency, but the European Parliament still has a big role to play. It will have to take a firm stand and make sure the Commission does its homework and complies with the Ombudsman’s recommendations. It is a matter of democratic control and the credibility of the European institutions.